July 2018 - Don Mills Builder, Inc. July 2018 - Don Mills Builder, Inc.
Are you getting ready to hire a custom home builder in Greensboro to build your dream home? Building a new custom home is an exciting process that allows you a chance to exercise your imagination and offer input on the things you need and want in your home. Consider these five things to do when building your custom home, you’ll be glad you did. Do not be afraid to ask questions when it comes to building your new home. There are many decisions that come with a custom home. Which material is better for your kitchen countertops? 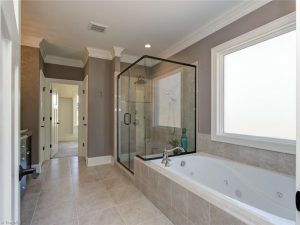 What bonus features could be included in a spa bathroom for your master ensuite? Your builder is there to make suggestions and guide you along the way. Think about where the sun rises and sets. You may not have considered this, but where does the sun rise and set on your new home? If you’d love to awake to the sunrise, or sit on the back deck and watch the sunset, you may need to consider these things while you’re selecting and tweaking the floor plan. It might affect your window placement as well. Realize the time commitment required. Custom building a home takes time. There are lots of decisions to be made at the outset, and once the building process begins, chances are you will want to check-in for updates. Setting realistic expectations of the time that will be required will help you to prepare and plan, making things happen more smoothly and less stressfully. Imagine your furniture or the furniture you want. As you plan your layout, try to picture where your furniture will go or what sort of furniture you want. This will help you determine the size of the area, the number of outlets necessary, the lighting you’ll need, etc. You can also use online tools such as a 3D room styler to get a better visual idea. Don Mills is a custom home builder in Greensboro offering a wide variety of floor plans and upgraded features for a beautifully designed custom home to fit your family’s lifestyle. Call today and start building your home: (336) 362-1777.